British Sign Language was recognised as a minority language in 2003 after years of campaigning. In 2011, for the first time a question about sign language was in included in the UK census. We plan to start a full accredited BSL Level one course on Saturday May 11th, 2019. This will be in the morning from 09:30 – 11:30hrs. Also we will run the above same course starting on the 15th May 2019, on a Wednesday evening from 18:30 – 20:30hrs. The venue for both will be Bamber Bridge Methodist Church, Bamber Bridge, Preston, Lancashire PR5 6NN. This will be on a Saturday morning for two hours, starting at 09:30hrs. Please contact Stuart on 07818 457605 for further information and to reserve your space. Recently, we finished our five week taster course and were presented with two hand made cards, made by two lovely young girls stating how much they enjoyed the course. British Sign Language is a visual form of communication using hands, facial expression and body language, mainly used by people who are Deaf. British Sign Language is a fully recognised language and is independent of spoken English. A second language improves executive function in the brain – which includes decision making, keeping a clear focus in the midst of distractions, and maintaining self control. Also delays dementia and Alzheimer’s by up to five years! Sign Right British Sign Language Training seek to improve what is missing in Preston, the surrounding region and across the UK. We believe Sign Right BSL Preston can offer a more, all round, dedicated sign language and Deaf awareness training program creating confidence in your learning and reassurances with the on-going encouragement and support you’ll receive. Sign Right delivers Standard and Bespoke British Sign Language Courses to the highest standards; ensuring that learners achieve the best through the experience. Sign Right offers a consultation service for the Deaf Community. We are frequently involved with professional organisations e.g. local Government and Councils on behalf of the Deaf community which include researching BSL related issues and gathering information for reports and drawing key findings that affect Deaf communities. Sign Right provides curriculum training in various parts of UK. The training is an essential component of Continuing Professional Development (CPD) for any employment committed to improving the quality and standard of their teaching. Sign Right provides frontline staff training; bespoke Deaf Awareness courses for companies, organisations and individuals who wish to learn BSL. Sign Right also offer group training for those who need to raise awareness on the subject of Deaf culture and British Sign Language. For more information please get in touch with us at languagebsl@gmail.com. We pride ourselves on quality training, service and reliable admin procedures. Learning is also about taking care of you, begin supportive, and providing you access to the Deaf community, which is why we will shortly be launching a social group and events diary for you to take part in activities and day trips where you can use your signing skills to enhance your studies. After hours on-going support online and via Skype. Sign Right BSL Training is also included by accessing Sign Right whiteboard website. (Response times will be vary depending on the demand any given day or week). Sign Right training courses are structured to meet with your school or private community opening and closing hours timetables and vary depending on the travelling distance. Session range between 2 hours and 6 hours also can be contracted for in-house company training. 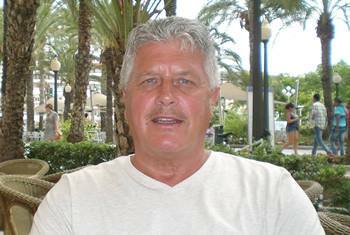 I am a self employed British Sign Language and Deaf Awareness Trainer and communicate using British Sign Language. Sign Right was established as my own business in August 2010 after I was made redundant from the local college where I had taught for over 15 years. Sign Right BSL courses at Levels 1, 2 and 3 along with NVQ Level 6. There is a mixture of deaf and hearing students at various training centres/Deaf centres across the North West. Communicating with BSL affects every aspect of everyday life. However, in my professional career as a BSL tutor, I use a Communication Support Worker for most aspects of my job, even helping in the preparation of this profile. 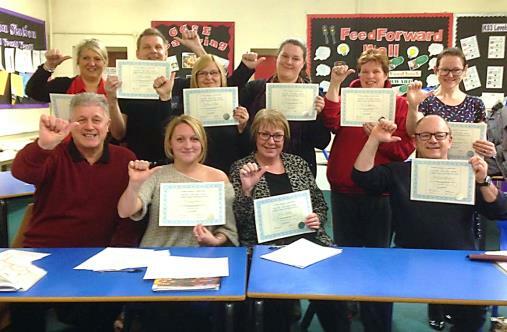 I am fully qualified as a trainer by Signature, the governing body for BSL teachers. In addition, I am required to attend ongoing training courses for professional development and standards assessment. To read my full profile, click here. Alan and his staff at Sign Right have made my learning and understanding of BSL so easy, and I have been taught in a professional but fun way. I have completed both level 1 and level 2 with Sign Right and can thoroughly recommend Alan and his team to anyone. Through Alan, I have been made made welcome at Chorley Deaf Club, becoming involved and being made aware of deaf culture. Sign Right leave no stone unturned to educate you in BSL. They are knowlegable, thorough, and patient and have gone beyond what I expected from them during this training.